For a lot of people, few things about eating out are more daunting than staring at a leather-bound wine list, hoping to make a good choice for the table. This is exactly the kind of thing that the new crop of wine bars avoids. With wine lists printed daily—or written on chalkboards—these spots seek to be come-as-you-are places. That they also serve food that exceeds expectations can make them veer into restaurant territory, with a few advantages: less staff, less structure, and no reservations. “There is a whole generational push from people like me, who grew up in fine dining and learning about wine in formal situations and want to take this luxury and make it an everyday thing,” explains Matt Tunstall, co-owner/beverage director for Stems & Skins, a natural wine bar in Charleston. A big draw of a wine bar over a restaurant is the relaxed setting. If the bar serves food, it’s another reason to stay for another glass. The brick walls and concrete floors of The Dabney Cellar give the space a more casual vibe than its upstairs sibling, The Dabney, in Washington, D.C. The 800-square-foot room also makes it easy for Alex Zink, co-owner/beverage director, to pour customers tastes of lesser-known wines, like an obscure Portuguese white or light Italian red—something hard to do in a restaurant setting. Not everyone is there to eat, and that’s OK—about two-thirds of The Dabney Cellar’s guests order food, while others wait for a table upstairs. The menu reflects the same quality as upstairs, but it’s simpler, ranging from oysters, ham, and cheeses to charred apple salad (recipe) and scallop crudo. The key is for the food to complement the wine but not take over, a lesson learned when freshly baked Cheddar-bacon biscuits on the cellar’s menu one night perfumed the bar—prompting everyone to overlook anything on offer but the biscuits. Another advantage to the informality of wine bars is how they encourage guests to interact more with food and wine pairings, prompting serendipitous discoveries. Enoteca Nostrana in Portland, Ore., sits next door to its older sibling, Nostrana, a restaurant known for Chef/Owner Cathy Whims’ devotion to Italian food and wine. Opening the enoteca last year has allowed Whims and Wine Director Austin Bridges to give wine a larger share of the spotlight. “We wanted a perfect wine and food collaboration,” Whims says. 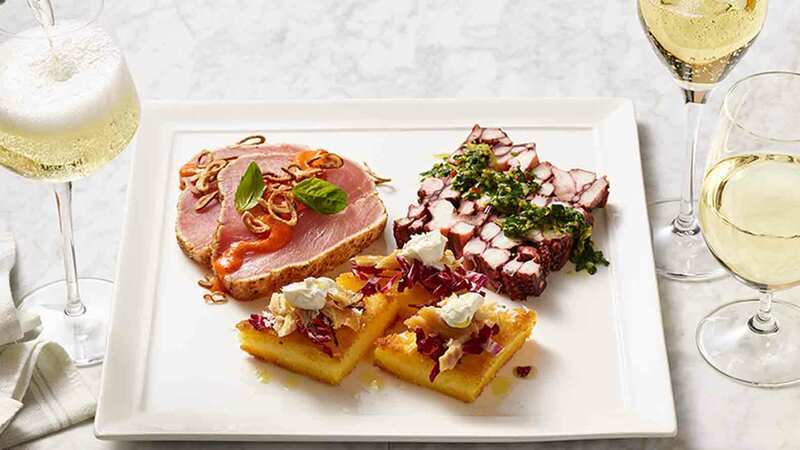 Adds Bridges: “If you’re in a busy restaurant, you don’t always have those profound experiences, those quiet moments with the food and wine together.” Take antipasti di mare (recipe), a revolving selection of seafood that ranges from tuna tataki to octopus terrine and cured local salmon. Bridges will recommend an Italian wine to taste alongside the three different seafood preparations. Wine and Food or Food and Wine? For many wine bars, the hardest part is knowing how much emphasis to place on the food without letting it outshine the wine. Michael Ireland and John Vuong, two sommeliers with backgrounds in Michelin-starred California restaurants, opened High Treason in San Francisco to take some of the preciousness out of wine. They had a strong menu from the start, but Ireland initially worried about putting too much focus on the food—he had watched a local wine bar go out of business by being mistaken for a restaurant. 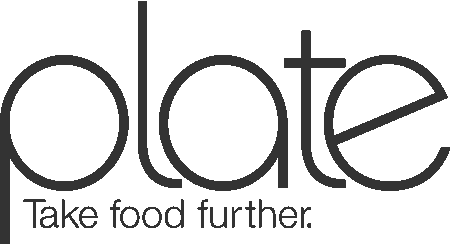 So they focused on building a reputation for their extensive but accessible by-the-glass program, keeping the food focused on snacks and wine-friendly plates. Three years in, Ireland is not only comfortable with the food menu, he’s thinking of expanding it. 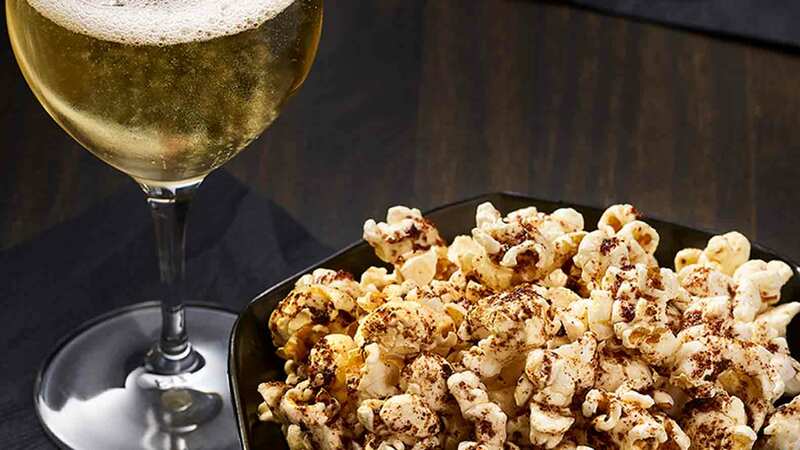 Still, the snacks aren’t going anywhere, particularly wine-pairing hits such as croquettes with Manchego and chorizo (naturals with high-acid sparkling wines; recipe) and porcini brown-butter popcorn, which Ireland says pairs well with nearly everything he pours (recipe). “You get umami from the mushrooms, and the salt whets the palate,” he explains. As he did with the wine list, organizing wine styles with pop culture references to make it more accessible (“Starman” David Bowie for sparkling wines, for instance), Fiorilo and Executive Chef Thomas Calhoun serve a modular menu to encourage snacking with the option to turn the snacks into a full meal. Nuts and olives are essentials, but there’s also room for squid-ink pasta (recipe). Part of the drive to expand the menu is to show how wine and food can be better than the sum of their parts. “We’re trying to explain that wine is made for pairing,” Fiorilo notes. A common reason wine bars won’t become full-blown restaurants is limited resources, especially when it comes to space and staff. Yet Oriel does have constraints when it comes to the small kitchen, so cooks prepare dishes during the day that can be heated or plated during service. A croque monsieur (recipe) needs eight minutes in an oven and a minute on a griddle. A selection of cheeses simply needs to be plated. Most of the food is shareable and goes with the French wine list. Like Oriel, Charleston’s Stems & Skins opened with a limited menu because the kitchen lacks a hood and comprises only a couple of induction burners and a slicer. They opened serving simple options, like tinned fish from Portugal and Spain and ham sliced to order. But demand for food, which was helped by visual cues such as a 36-month aged Ibérico ham leg behind the bar, kept growing. “It sells itself after people have had a couple of drinks,” Tunstall says. In fall 2018, he hired Greg Marks, who added more-substantial fare, such as bratwurst served with rye toast and housemade beer mustard and sauerkraut (recipe) to evoke German wine country (Tunstall recommends an off-dry riesling). A cave à manger is a wine shop that, by French law, is permitted to serve alcohol only if customers order food, and it’s this new breed of drinking establishment that is spreading the popularity of natural wine in Paris and beyond. At La Buvette, a natural wine cave à manger in Paris, Camille Fourmont serves wines with simple dishes such as white beans with olive oil and citrus zest—a dish born out of necessity; Fourmont doesn't have a full kitchen. A similar style has taken off stateside at natural wine bars such as Ordinaire and Bay Grape in Oakland, Calif., and Bar Norman in Portland, Ore. These spots often don’t have kitchens but want to offer more than wine. There, plates of cheese, charcuterie, and tinned fish provide food for noshing while drinking in the spirit of a cave à manger. Kate Leahy’s favorite wine pairing is tuna conserva with Fiano di Avellino.